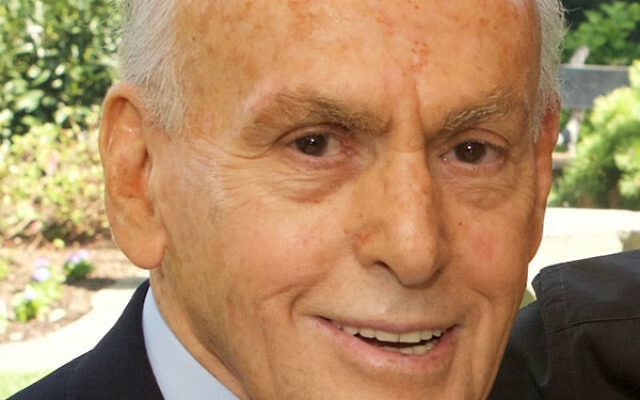 Joseph Wilf, a 91-year-old Holocaust survivor from Poland and a major benefactor of the Greater MetroWest Jewish community, Israel, and Jewish institutions worldwide, died Aug. 3 at his home in Hillside. He was buried a day later at a widely attended funeral service at the Jewish Educational Center in Elizabeth, with 550 mourners filling its sanctuary and another 100 in a basement overflow room. The JEC is one of the many Jewish institutions to benefit from his and his family’s largesse. Wilf, who was born in the Polish city of Jaroslaw, survived a slave labor camp in Siberia during World War II, along with his brother, Harry, and their parents. His sister Bella perished in the Warsaw Ghetto. In 1946, the year after the war ended, the Wilf family fled to the American-occupied zone of Germany. It was there that Joseph met his future wife, Elizabeth Fisch, known as Suzie. They were married in 1949 and immigrated to the United States in 1950. Four years later, Joseph and Harry Wilf founded Garden Homes, a real estate development company that is now one of the largest firms of its kind in the United States. Since their business opened, they have built thousands of homes, office buildings, stores, and hotels in the United States and Israel. Their profitable venture enabled the two brothers to establish the Wilf Family Foundation in 1964. They became benefactors and board members of myriad organizations, including Yeshiva University, whose campus in uptown New York bears their name, and the Rabbinical College of America in Morristown. Joseph Wilf was a leader and benefactor of a long roster of service and charitable organizations. He served as president of Jewish Federation of Central NJ (as did both his sons) and as board chair of the JEC. 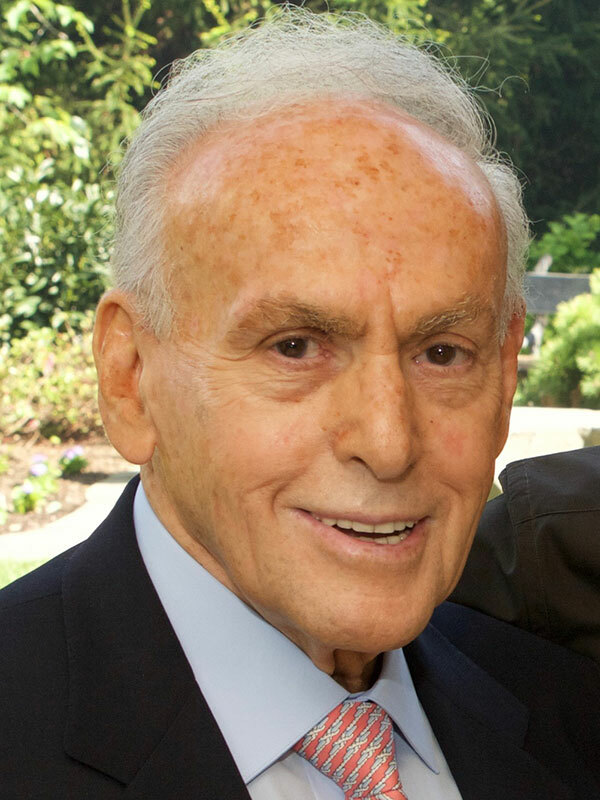 He led the capital campaign to build the Wilf Jewish Community Campus in Scotch Plains — home to the JCC of Central NJ and the historic Central federation — and was a founder of Central NJ Jewish Home for the Aged (now Regency Jewish Heritage Nursing and Rehabilitation Center) on the Oscar and Ella Wilf Campus for Senior Living in Somerset, named for his parents. His major support also went locally to the United Jewish Appeal campaigns of the Central federation, and, after its merger, of Jewish Federation of Greater MetroWest NJ, Jewish Family Service of Central NJ, YM-YMHA of Union County, and Kean University. Beyond the area, he was a supporter of State of Israel Bonds; the Jewish Agency for Israel; the American Jewish Joint Distribution Committee; the Conference on Jewish Material Claims Against Germany; the United States Holocaust Memorial Museum in Washington, The Jewish Museum and Park East Synagogue in New York; and the United Way. His many honors and awards include the Louis Brandeis Humanitarian Award of the Zionist Organization of America, the David Ben Gurion Peace Medal of the Israel Bonds Organization, and honorary degrees from Yeshiva University, Kean University, and the Rabbinical College of America. He was among the original founders of the American Society for Yad Vashem and a lead donor for Yad Vashem’s Holocaust History Museum in Jerusalem. It was at the historic Central federation that he met Stanley Stone. In a subtle reference to Republican presidential candidate Donald Trump, Teitz said, “Mr. Wilf, as you know, was a builder. You won’t find Wilf Tower or Wilf Park, but you will find a Wilf building in the Jewish Educational Center, a Wilf building in our federation, a Wilf area at Yeshiva University. The Wilf name is prominent on the walls of Yad Vashem and virtually every other Jewish cause. That’s where he saw it was important…. Following Teitz, Rabbi E. Samuel Klibanoff of Congregation Etz Chaim in Livingston compared Wilf to his biblical namesake. Rabbi Jonathan Schwartz of Congregation Adath Israel in Elizabeth spoke of Wilf’s philanthropic endeavors. Wilf, he said, “didn’t merely sign a check. He contributed his treasured time and advice. He wanted success when he participated in a project, and he would do whatever he could to get it there,” Schwartz said. Wilf’s older son, Zygi, spoke of his father’s love of sports, especially football. As a co-owner of the National Football League’s Minnesota Vikings — along with his brother Mark and his cousin Leonard — Zygi joked about his father’s approach to the fiercely competitive game. Joseph’s younger son, Mark, spoke of his parents’ first American hometown, Birmingham, Ala.
“Can you imagine [Joseph and Harry] coming from postwar Europe to go to the Deep South in 1950?… Not only did they find so much wrong that was going on with segregation, but as businessmen they were offended. They used to say they could never understand why the bus had a ‘white’ and a ‘colored’ section, and the African-American people were lined up waiting to get on the bus while the white section was empty. Following the two brothers’ speeches, Wilf’s nine grandchildren took turns saying emotional goodbyes to their grandfather. Wilf was buried alongside other family members at the Jewish Educational Center Cemetery in Newark. Arrangements were made by Bernheim-Apter-Kreitzman Suburban Funeral Chapel in Livingston. Predeceased by his son Sidney, Wilf is survived by his wife, Suzie; his sons Zygi and his wife Audrey and Mark and his wife Jane; nine grandchildren; and five great-grandchildren.